Grass Farmer Supply is the Midwest’s premier resource for finding the natural and holistic-approach supplements and products needed for raising healthful, profitable and drug-free livestock. We specialize in products and consulting services that are useful for sustainable grass-fed and pastured livestock production. Our greatest commitment is to the livestock producers themselves. The men and women with their boots on the ground; working hard to create food that is nutrient-dense, humanely-raised and is as wholesome as possible. Grass Farmer Supply opened in 2011 by holistic livestock consultant, livestock nutritionist and educator, Will Winter. The business was founded within the headquarters of Thousand Hills Cattle Company in Cannon Falls, MN. 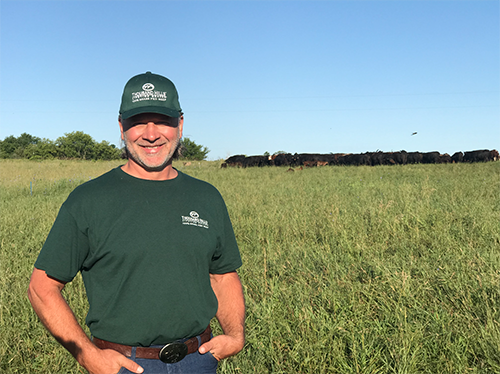 Today, Grass Farmer Supply has returned to its roots and is based out of Thousand Hills Lifetime Grazed, located in Becker, Minnesota. Our Mission: At Grass Farmer Supply we aim to provide farmers with the tools to raise livestock holistically while reducing dependence on pharmaceuticals.